We’re back again & let’s talk FIFA 14! 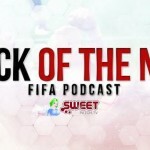 Welcome back to the Back of the Net: FIFA Podcast, in partnership with Sweetpatch.TV after a few weeks away. Episode 118 is here and we discuss lots of FIFA 14 News.